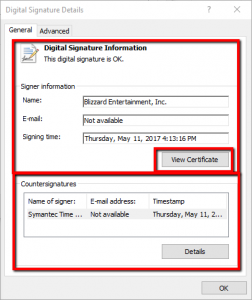 How To Verify a Digital Code Signing Signature In Windows. /7. 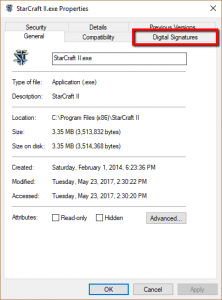 SSL Tools & Troubleshooting /How To Verify a Digital Code Signing Signature In Windows. 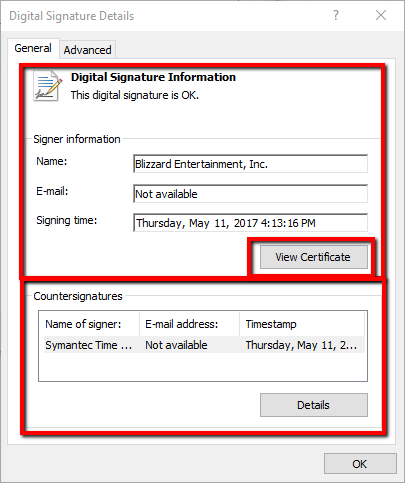 To verify and check the digital signature of the signed application you can perform the following on any Windows system. 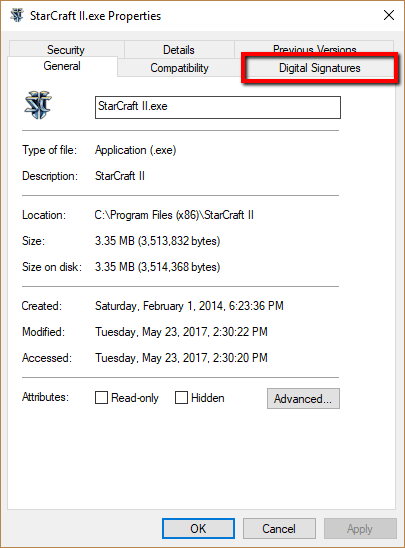 Right click the file the main executable file (.exe), select Properties > Digital Signatures. Under Signature list, select the Signature, and click Details. You will see information regarding the Code Signing certificate that was used to sign the executable. Under Countersignatures within the General tab, it will list an entry for a timestamping. If this field is blank, no timestamp exists on this code. 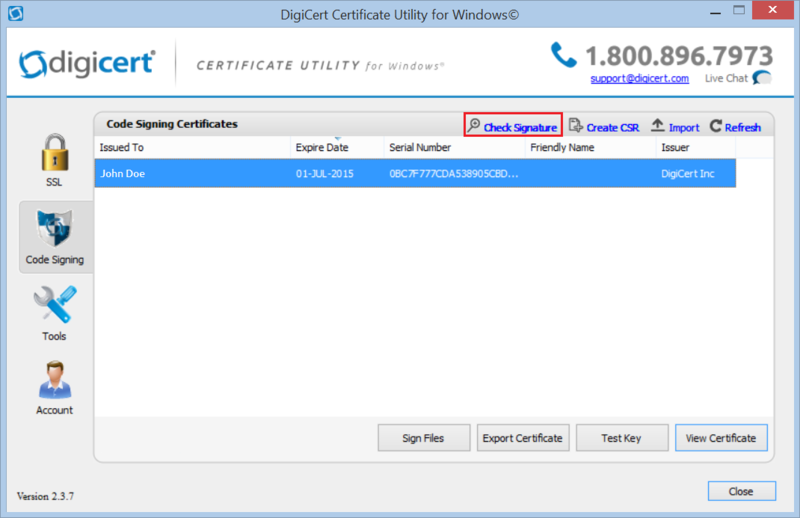 How to Check Your File or Any Applications Signature Using the Digicert Certificate Utility for Windows – Code Signing. 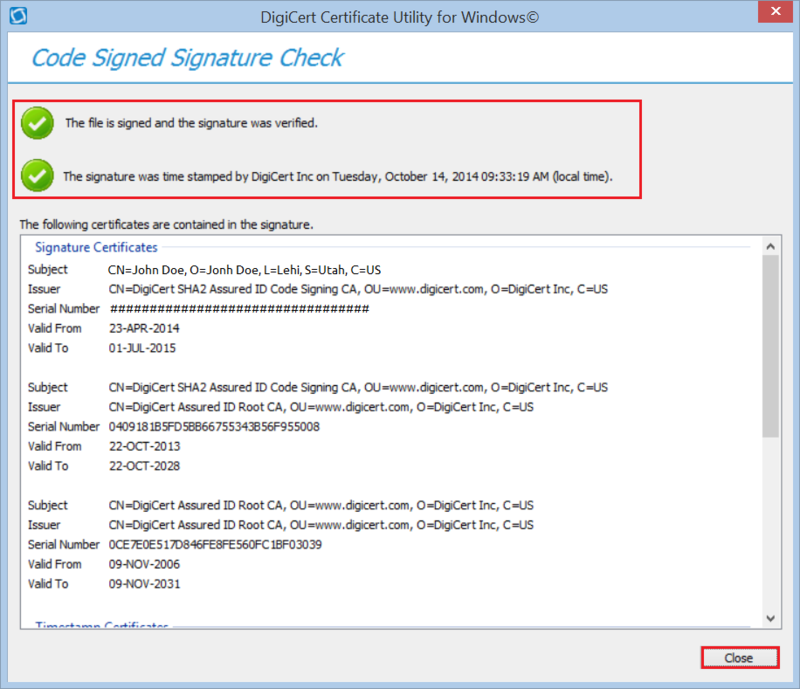 Using the Digicert Utility to check Code Signing signatures. 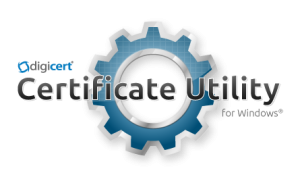 In the Digicert Certificate Utility, Click Code Signing. Browse and open to the location and path of the signed application. If this application was signed for kernel driver purposes, the page will contain Kernel Mode Cross Certificate information.